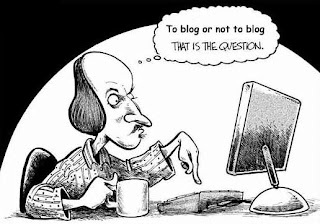 To blog or not to blog. Apparently, that's the question. One I didn't get the memo for. However, it seems that as of late, I've not been blogging. Or, rather, not blogging regularly. But anyway, I just wanted to take this time to let you know that instead of trying to find something to post about this week, I'm just going to take a break. Or, in my case, a break away from the break I've already been on. I've got bunches of stuff to catch up on, such as coming up with questions for an author interview I'm very excited about. More on that later. And, I really need to take some time and actually start writing again. Like, really writing. None of this sentence here and there business. Not to mention, two of my faves, Gossip Girl and 90210, premiere this week. So yeah, I'm taking a break to catch up. Like I said though, my schedule still might not be regular after this week. But, I promise to post at the very least, once a week, for now. And then, I'm thinking about maybe sticking to either a MWF (Mon, Wed, Fri) or a TT (Tues, Thurs) blogging schedule. But that will come later. I hope you all have a great week! And get all you set out to complete, accomplished!! PS: I'll still be reading blogs, just not posting. Can't get rid of me that easily! I hear ya on this. I've been the same way. I have not been commenting as much. Life is swirling around me like a tornado. Plus, this is a very special week. ;) Especially, friday. I don't blame you. I was all set to do tons of work last Wednesday, but my post generated A LOT of comments. I came back from an appointment to find 25 comments in my inbox (and the numbers kept climbing). 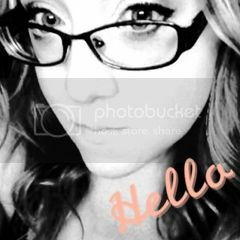 I took me over three ours to respond and/or check out and comment on blogs. I never got to do any of the cleaning I had planned. I loved the response I got, but was sure glad that isn't typical for me. We wouldn't want to get rid of you! Oh, I totally get you. My schedule is so insane that I have to squeeze in time for blogging. It is so difficult to balance blogging with the rest of life! I do get quite stressed sometimes about returning comments, etc. Sometimes you need to take a break to get re-energised! It's easy to get distracted. I've watched Felicity on DVD three times. The entire series. And the show on TV once. The entire series. That means I've taken four tours. If you ever want to know why, I will explain it, but it is sorta crazy. I watched the entire series of Vampire Diares when it was on. I need to get back to my book, but I am not motivated, so I am reading and blogging. I will get back to my book. I just have to continue writing SOMETHING. So, don't stop writing altogether. Hang in there. Enjoy your break! No worries. We will still be here for you when you get back. Good luck with sorting things out and catching up on shows. TV is research, I swear! Take care and don't forget to just breathe! Screw relative content. I'm never relevant. Your blog, your rules! You get to rule over your tiny kingdom (Queendom?) anyway you want. 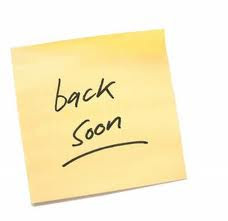 Sorry your schedule is frazzled, hope to see you back soon! Enjoy your time off! good luck catching up. I'll need to have one of those weeks pretty soon, i think. Every few weeks, I get overwhelmed by my schedule and have to take a blogging break. I think it happens to all of us. Best of luck getting all your stuff done, and see you on the flip side! Hey chick!!! Blogging can be so tough sometimes!!! I took four days off with the in-laws in town and I have to say it's been a struggle getting back into (and making up) what I missed!!! AHH! Maybe the most amazing post I have read ever!